Master Gardeners are volunteers who assist their local Cooperative Extension offices in educating the public in general gardening practices as well as the proper use of pesticides and fertilizers. In order to become a Master Gardener, an individual must complete 50 hours of horticulture instruction and return an equal number of hours (50) as a Master Gardener volunteer. The Virginia Cooperative Extension is offering two different master gardener classes, one in-person and one virtual hybrid course (a portion of the class is completed online and a portion of the class is completed in-person). The in-person course runs Tuesdays and Thursdays, September 4 through November 14 from 9 a.m. until noon in addition to three Saturday sessions. The classes are held at the VT/UVA HR Center in Oyster Point, 600 Thimble Shoals Blvd., Suite 210 in Newport News. The virtual hybrid course is being offered August 15 – November 14. Lessons are online in addition to in-person Wednesday evenings sessions and three Saturday sessions. The in-person sessions for this hybrid course are held at Yorktown Library, 8500 George Washington Memorial Highway. The fee for either course is $150 and covers the handbook, other materials, and a background screening. There is a $75 fee per additional household member, handbook not included. The course workload is equivalent to 50-60 class hours plus preparation. Classes cover topics such as basic botany, propagation, insects, trees & shrubs, pruning, lawns and more. The application deadline is August 1. Downloadable applications are available through the York County Extension Office. For more information about becoming a Master Gardener Volunteer contact your local extension Newport News 757-591-4838, Hampton 757-727-1401, York/Poquoson 757-890-4940, or Gloucester County at 804-693-2602. 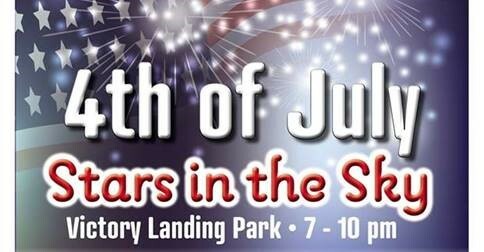 Special reminder about the annual “4th of July Stars in the Sky” event at Victory Landing Park! The celebration begins at 7:00 p.m. with food vendors, free children’s activities, strolling entertainment and live music with fireworks beginning at 9:30 p.m.
Free light-up items will be given out while supplies last. Admission and parking are free and the event is open to the public. No pets, alcohol, bicycles, skateboards, or radios are permitted inside the event area. For more information, call the Department of Parks, Recreation and Tourism at 757-926-1400 or visit the Festivals & Special Events website. 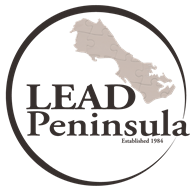 The Virginia Peninsula Chamber of Commerce is accepting applications for the LEAD Peninsula Class of 2019. This ten-month program is designed to develop and enhance leadership qualities of professionals from businesses and military installations on the Peninsula. The program begins in September with an orientation, followed by monthly program days on the first Thursday of each month from October through June. Tuition is $1495 for Chamber members and $1995 for nonmembers. The deadline to apply is July 13. Since 1984, LEAD Peninsula (formally Leadership Institute of the Virginia Peninsula) has been introducing its class members to the major facets of the greater Peninsula community through an intensive ten-month program. The LEAD Peninsula members participate in educational sessions, tours, and candid conversations with community leaders. The goal is to provide intellectual and personal connectivity experiences with the various aspects of our community – business, education, public safety, health and human services, environment, local, state and federal government, workforce development, military and federal impact, transportation, infrastructure (water/sewer), etc. The objective of this diverse array of topics is to challenge members to see their community as they never have before and to expand their knowledge on the different aspects that influence their community as a whole. For more information on LEAD Peninsula or for an application visit the Virginia Peninsula Chamber of Commerce website.